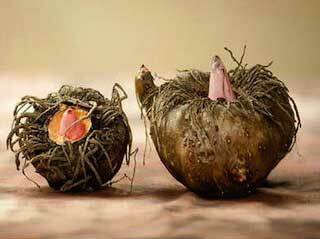 Glucomannan is a high-fibre root extract sourced from a perennial plant called konjac. It’s often used as an appetite suppressing ingredient in diet pills and it’s ability to control hunger has been put to the test and proven in numerous clinical trails. 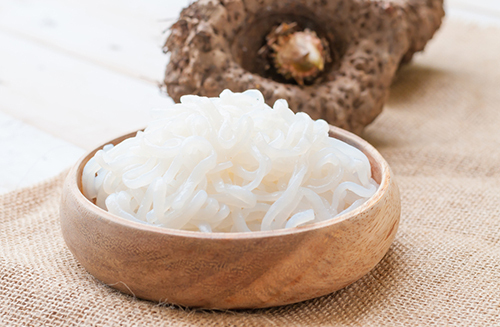 Although the root extract is sometimes listed on diet pill bottles under the name “konjac”, glucomannan is the name most commonly used. Despite the fact that in some Asian countries glucomannan flour is used to make noodles, the ingredient has very little nutritional value and contains next to no calories at all. However, the fact that it’s ultra low in calories is neither here nor there. Glucomannan’s real value as a weight loss aids is due to its phenomenal ability to soak up water. When glucomannan is combined with water, it can absorb up to 50 times its own weight in liquid and the resulting combination is an nondigestible gel that fills the stomach and takes away the appetite. When people talk about calorie restricted or low-calorie diets, they are talking about a diet that is designed to deliberately cause the body to experience an energy shortage. A calorie is a unit of energy and the calories in food are the fuel that powers the body. When people overeat or eat too much high calorie food, the body gets more calories than it needs and stores the excess as fat. When the situation is reversed, the body reclaims calories from its stores of fat and burns them to get energy. It’s quite simple really. The hard thing is sticking to a diet that is low enough in calories to cause the desired fat burning effect. Many failed dieters saw their dreams of a slimmer body go up in smoke because the hunger pangs they experienced were too powerful for them to bear. A full stomach is a happy stomach, but food is not needed when the stomach has been filled with glucomannan gel. Numerous studies show glucomannan is an appetite suppressant that works. After one eight-week double-blind placebo study, involving 20 obese individuals, the researchers noted a “significant weight loss” that was accompanied by a lowering of the volunteers’ cholesterol levels. In a much larger study, Norwegian researchers enlisted the help of 176 volunteers and assigned each of them a place in one of four groups. All four groups were put on a calorie-controlled diet. The members of all four groups successfully lost weight, but the placebo group lost less than the other three groups and the member of group one (glucomannan only) lost the most weight of all. A number of other claims are made for glucomannan, but its ability to support weight loss and control cholesterol are the only two that can be supported by sufficient scientific proof. However, glucomannan is also believed to be capable of slowing nutrient absorption rates sufficiently to prevent post-eating blood sugar spikes and the resulting rush of insulin that can force the blood sugar to drop so low it initiates a desire for high-calorie food. 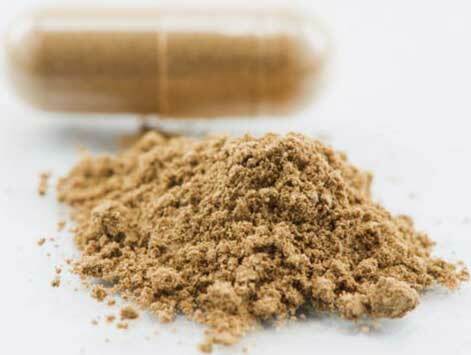 Glucomannan is also believed to be capable of boosting friendly gut-living bacteria (prebiotics). When this kind of bacteria flourishes it’s believed to be very beneficial for the health and may have the potential to improve weight loss. Glucomannan’s ability to fill up the stomach and limit the desire for food has been proven by science. It works well, suppresses the appetite in a very natural way, and is unlikely to cause side effects like certain other diet pill ingredients do. It’s alleged potential in other areas is certainly interesting, and future studies may prove some of the theories about glucomannan that are being presented today. However, as far as weight loss goes, the only proven certainty is glucomannan is an appetite suppressing diet pill ingredient that works. One of the best Glucomannan diet pills we have reviewed is LeanBean. It contains the exact amount of Glucomannan for optimum benefit plus some other ingredients that can help you burn fat. 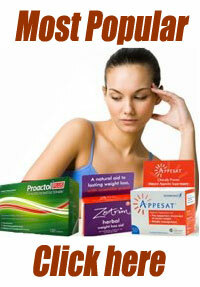 LeanBean also contains ingredients that can help overcome hormonal imbalance. The negative, if you can call it a negative is that it is exclusively for women.